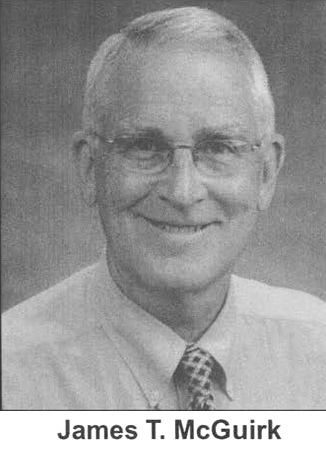 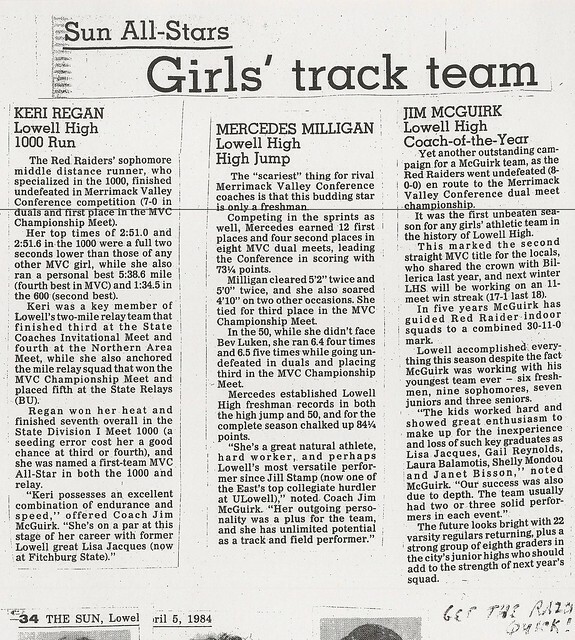 Coach Jim McGuirk began his coaching career for the Red & Grey as an Assistant Coach for the Boy’s basketball program from 1971–1979, but his transition to the Girl’s Track programs in 1979 became magical. 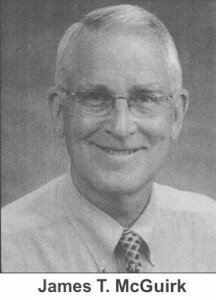 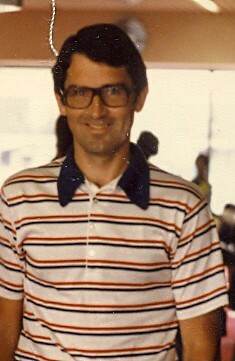 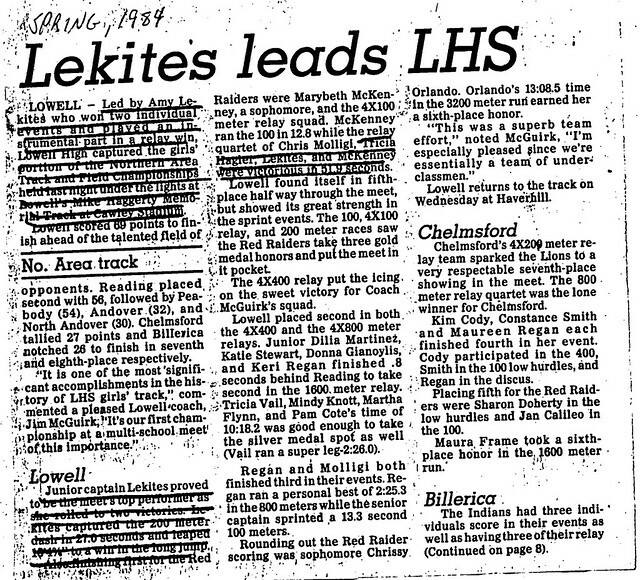 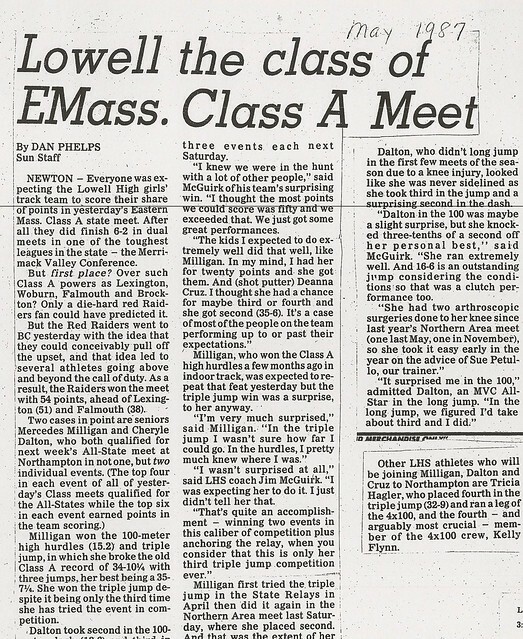 His Cross Country, Indoor Track and Outdoor Track Teams were regarded from 1979–2000 as one of the premier programs in eastern Massachusetts. 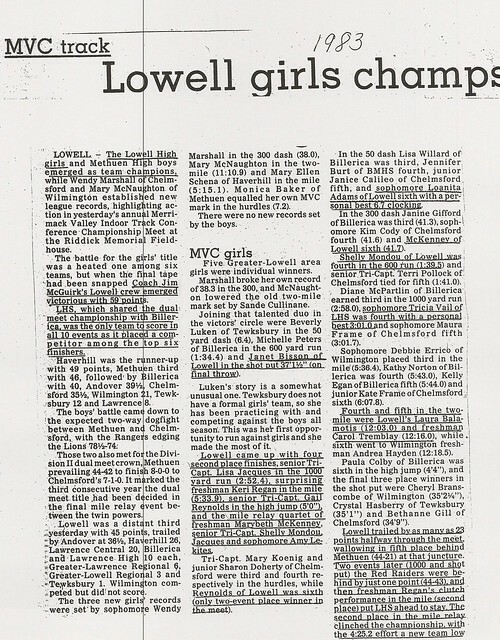 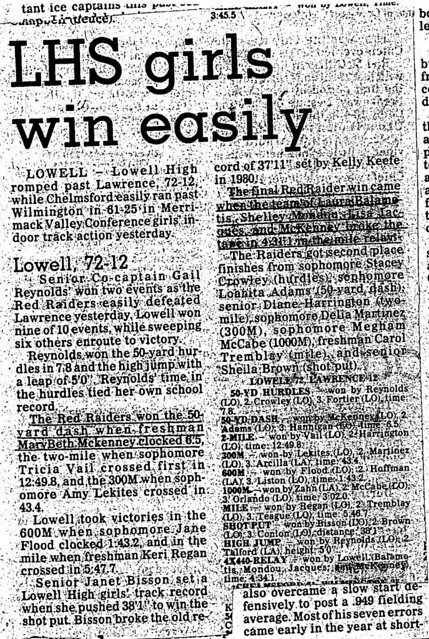 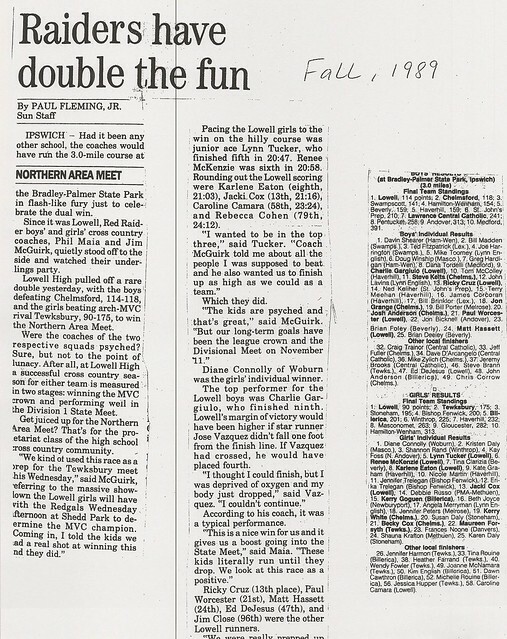 Jim’s overall winning percentage of .647 in twenty-one years includes 286 wins, which has had a lasting effect in the girls’ sports programs at Lowell High School. 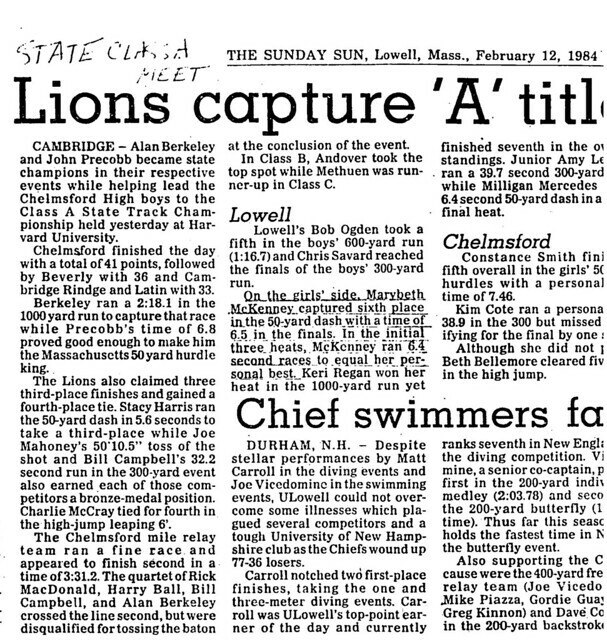 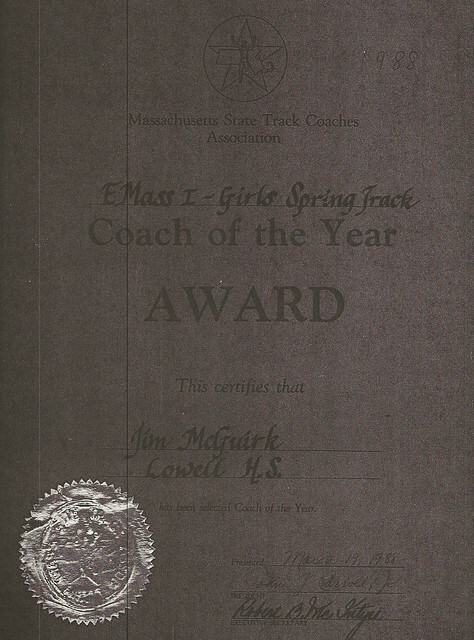 He coached three individuals and ten relay teams to Eastern Mass championships. 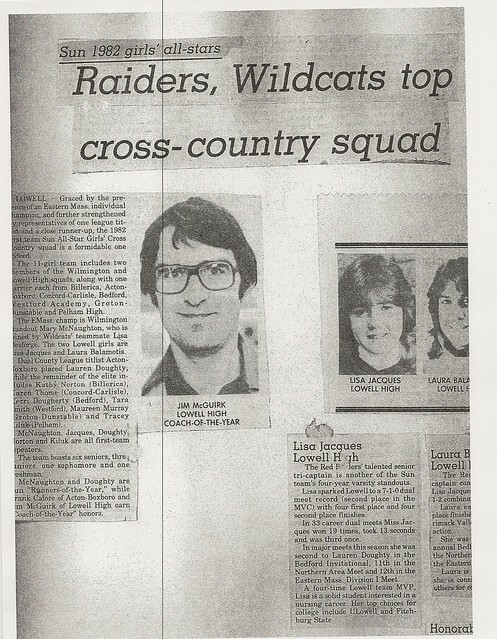 His teams have won eight MVC Championships, Northern Area Championships in Cross Country, Indoor and Outdoor Track, the culmination coming with the Eastern Mass Class A State Championships and the Class A State Relays Championship in 1987. 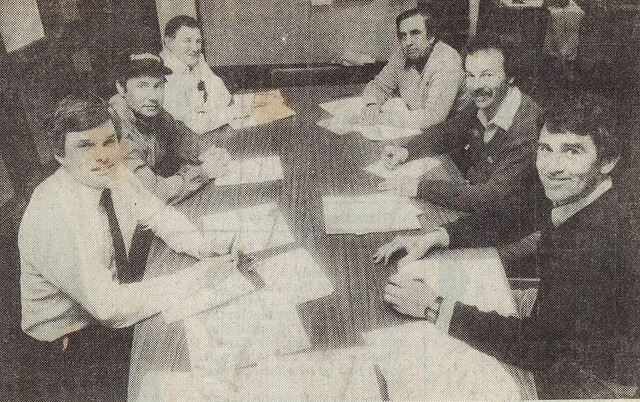 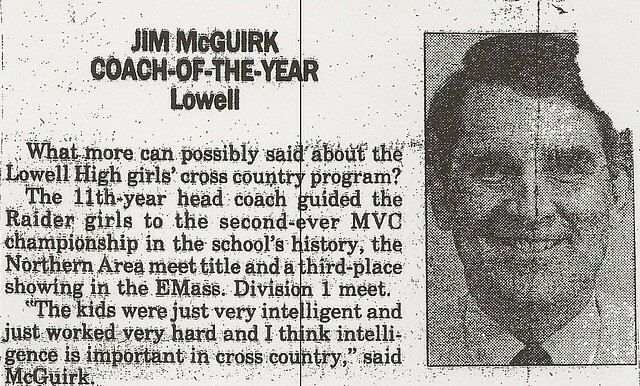 During his tenure, Coach McGuirk was well-respected by his peers as well as his athletes. 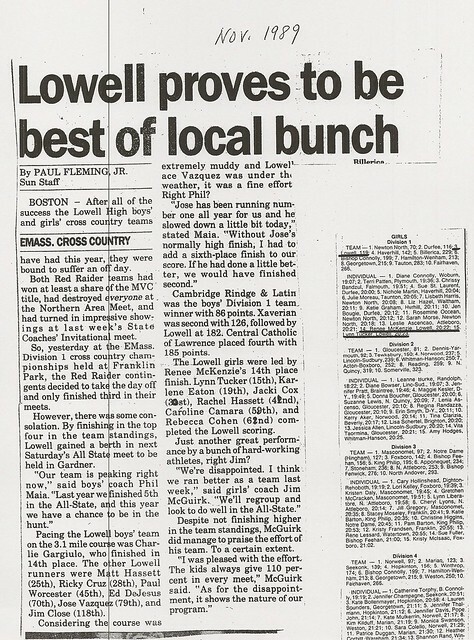 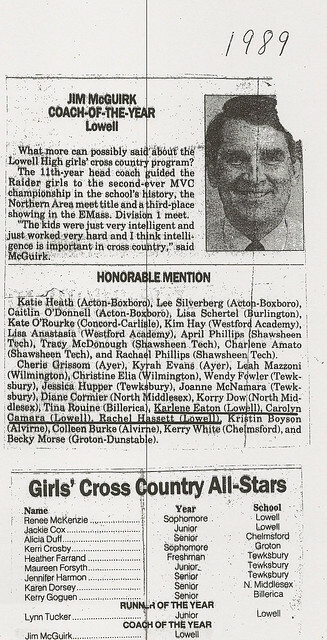 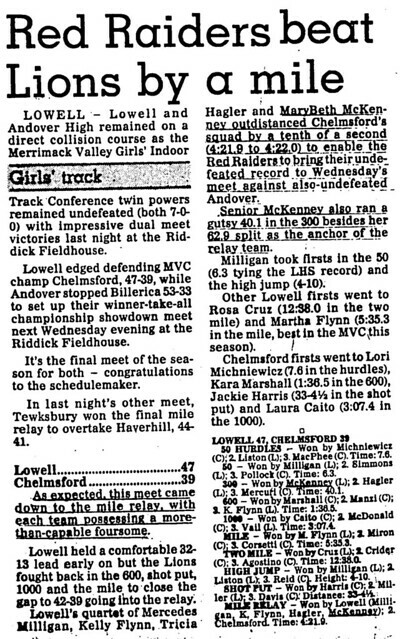 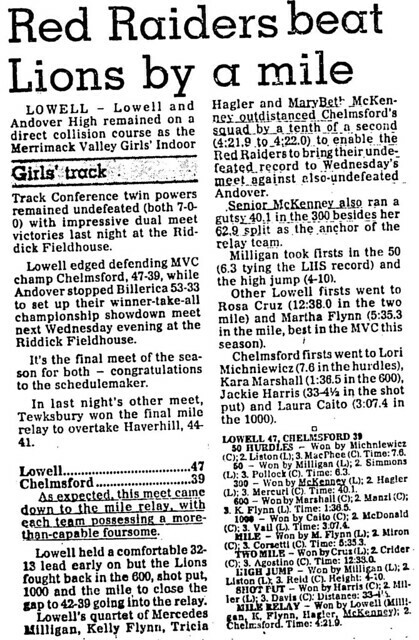 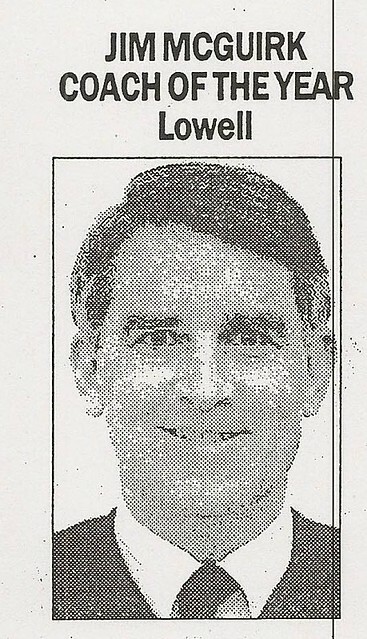 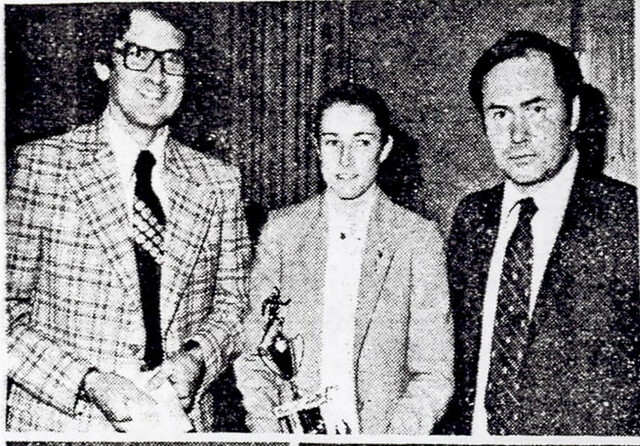 Jim was named The Lowell Sun Cross Country Coach of the year two times, Indoor Coach of the Year six times, and received the Division I Eastern Massachusetts Girls Spring 1987 Track Coach of the Year. 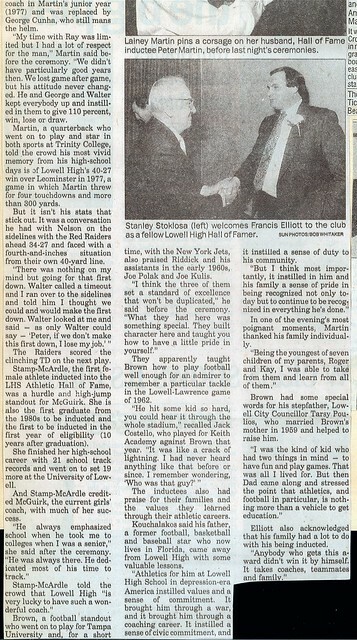 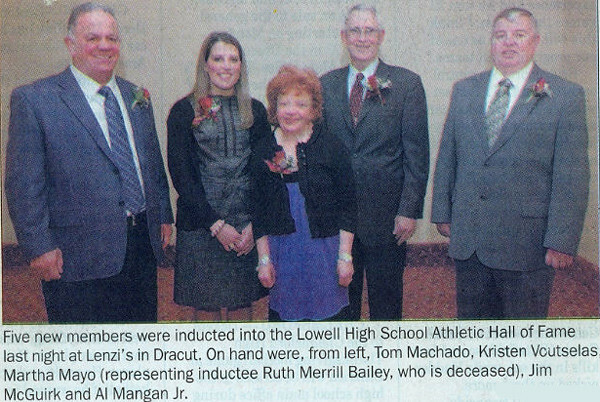 He has coached over twenty-five individuals who have competed at the collegiate level and fifteen athletes who are members of the Lowell High School Hall of Fame. 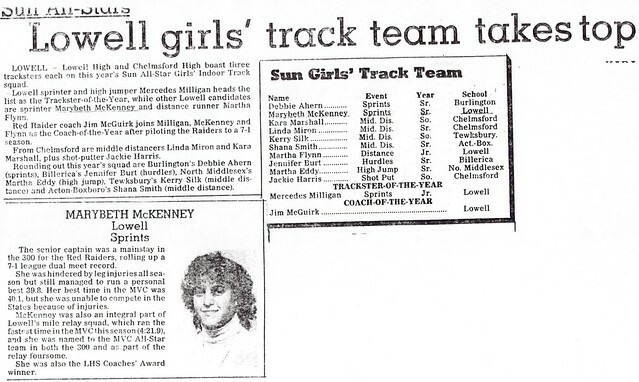 Coach McGuirk most importantly, is an advocate of girls’ sports that is evident by his record and the closeness he has maintained with his former athletes. 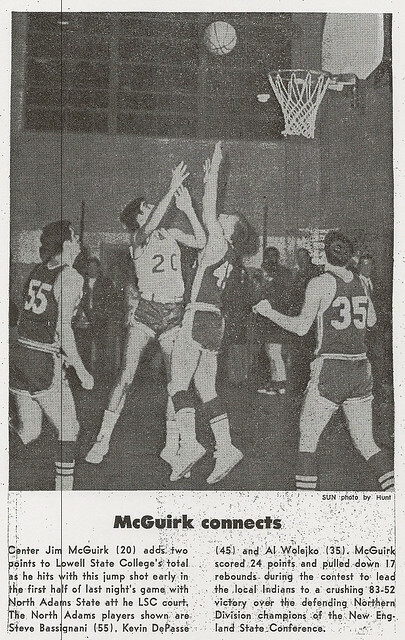 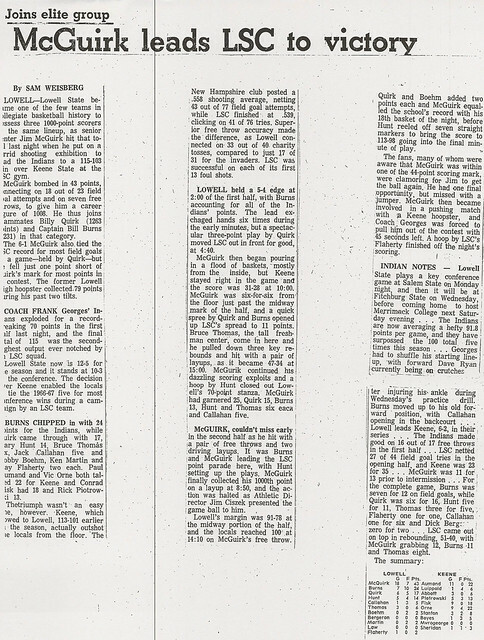 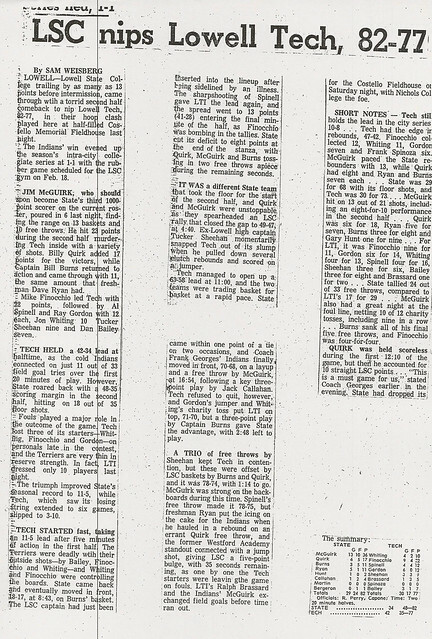 Jim’s individual career as an athlete began in (1962–64) as a member of the Red & Grey Basketball team in the tough Greater Boston League, coached by Henry Lisien and LHS Hall of Famer Leo Parent. 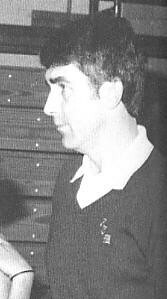 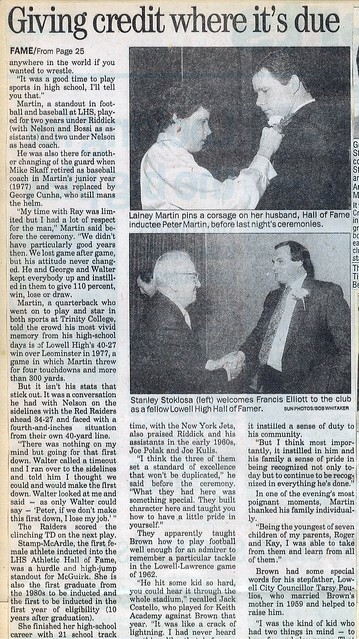 He truly blossomed under the tutelage of Coach Frank Georges at Lowell State College (1965–1969). 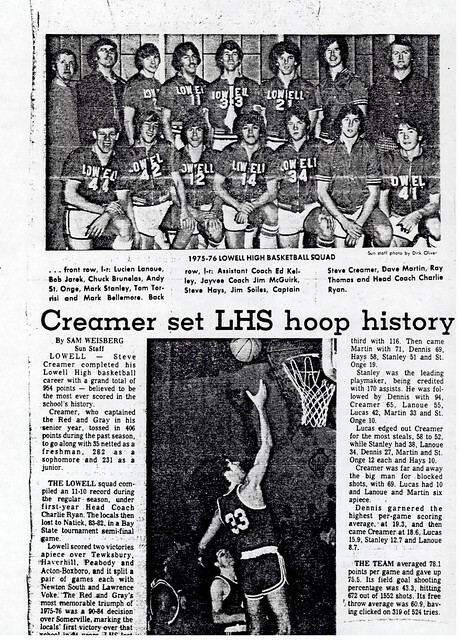 As a member of one of the finest basketball teams in school history, his accomplishments are many. 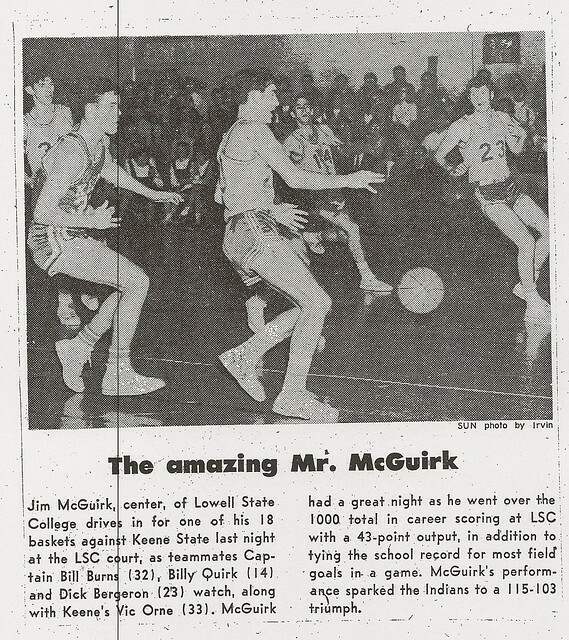 Jim ranked in the top fifty scorers nationally (1968–1969) for small colleges. 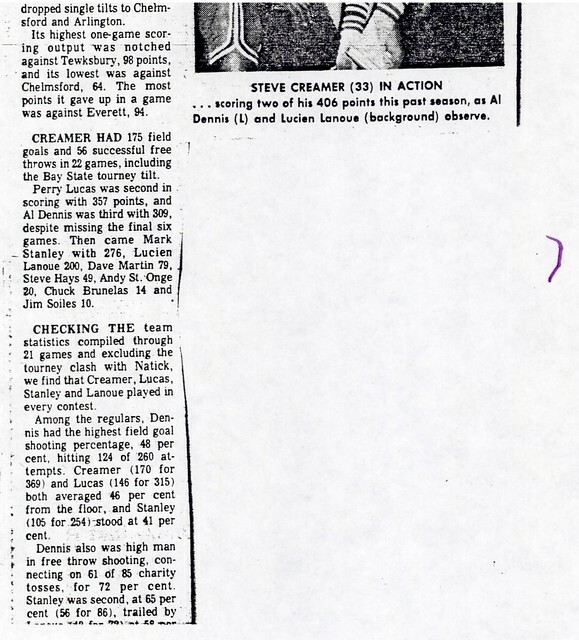 His 1128 career points are 5th in school history. 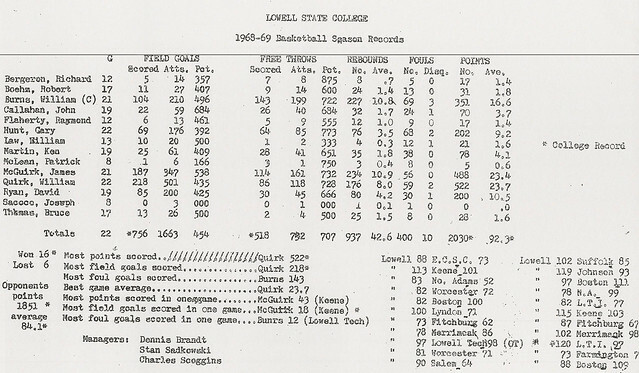 He scored 43 points vs. Keene State, and his 18 field goals in the same game also equaled a school record. 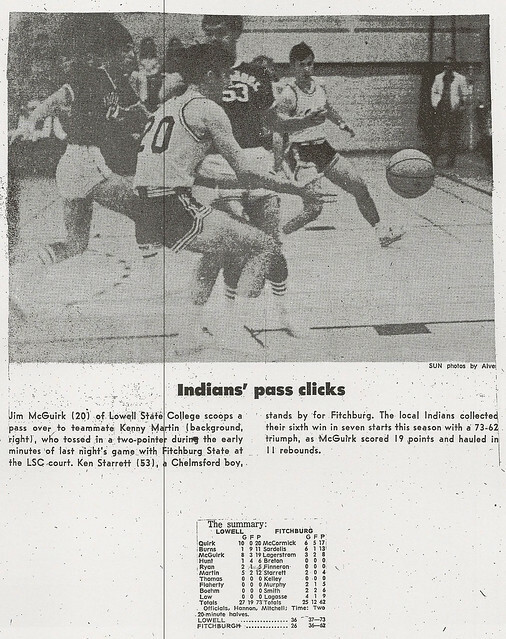 Jim averaged 23.2 points per game during his senior year. 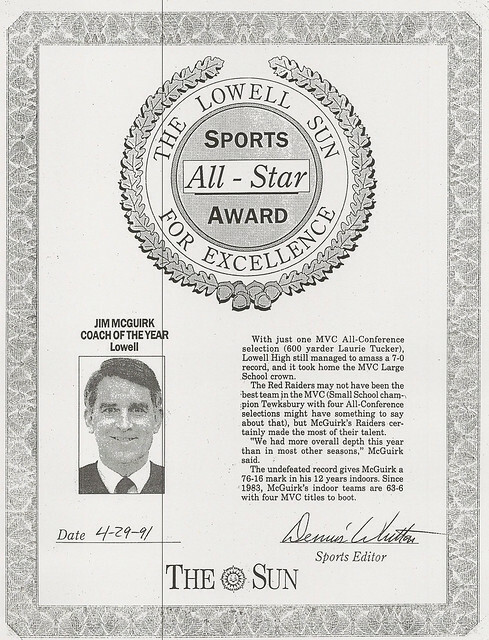 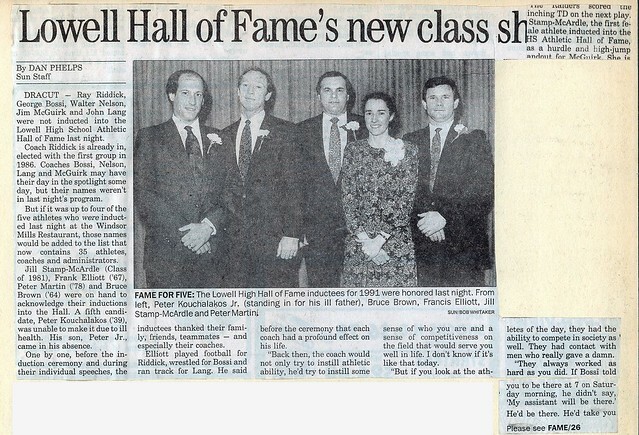 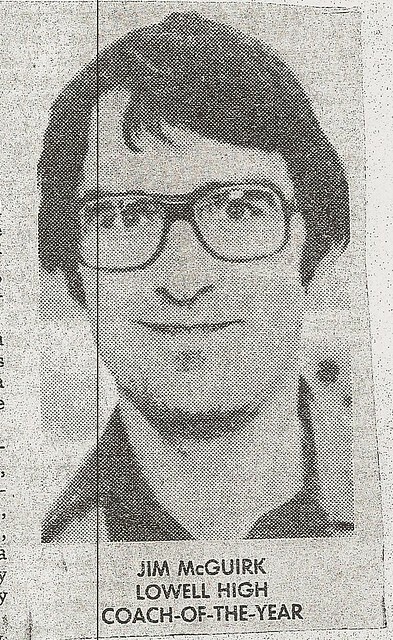 For all of those accomplishments, Jim was inducted into the University of Massachusetts at Lowell Hall of Fame in 1980. 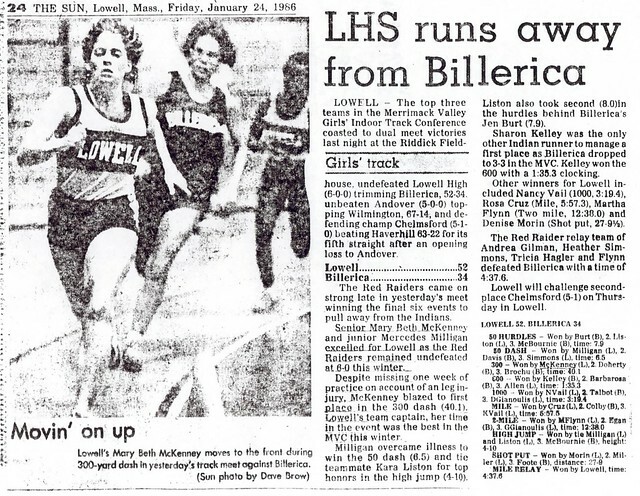 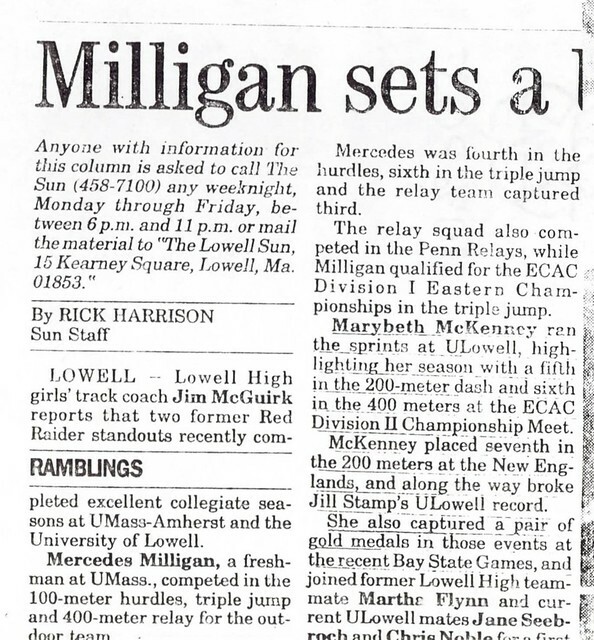 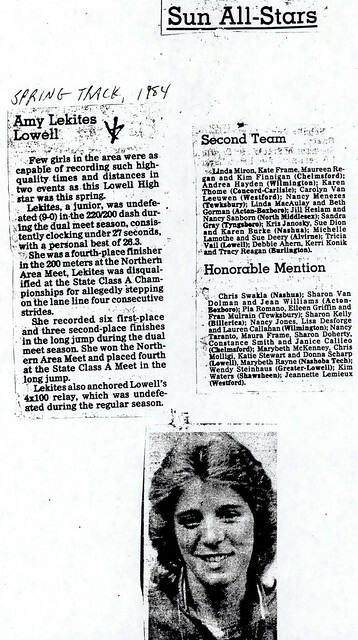 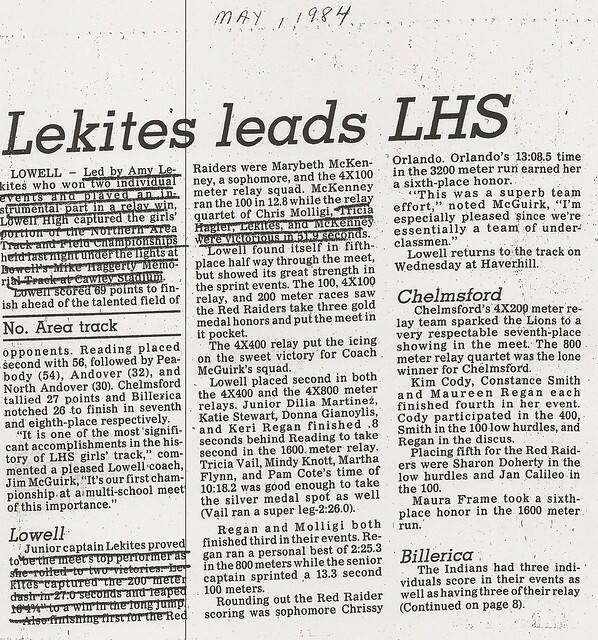 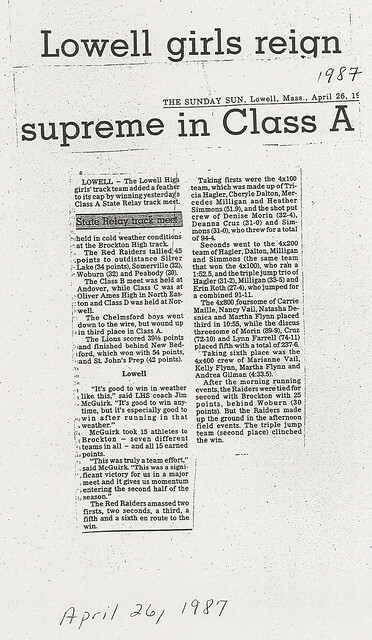 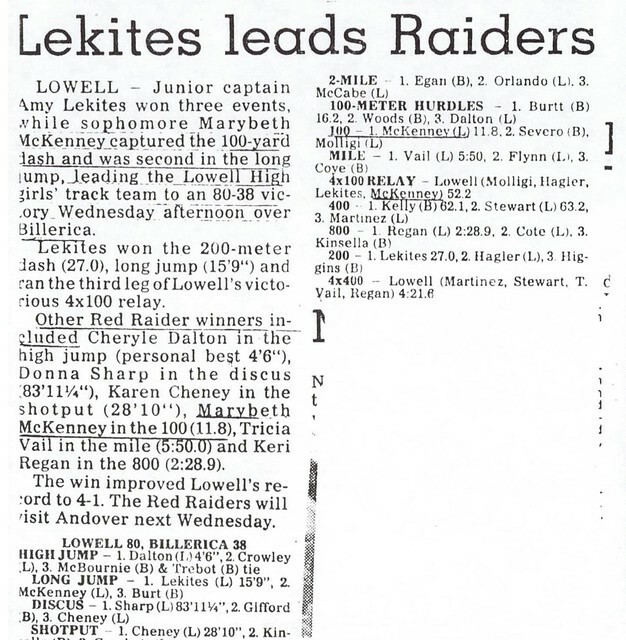 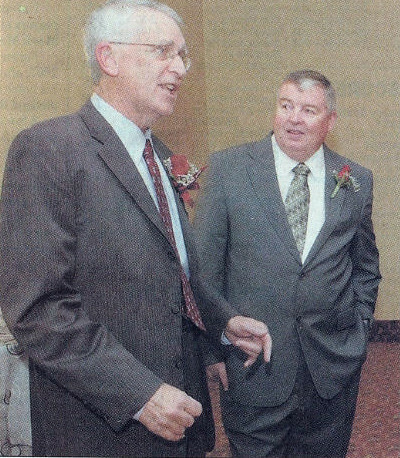 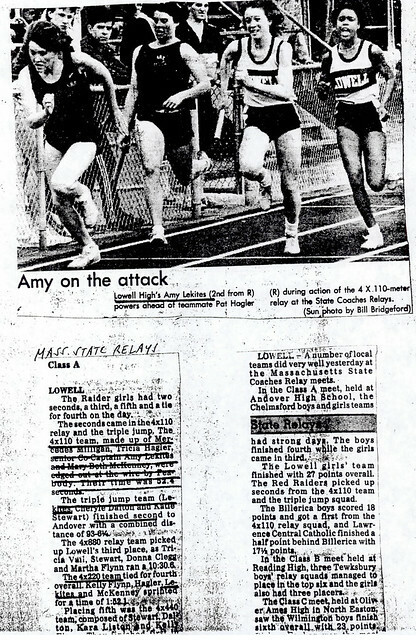 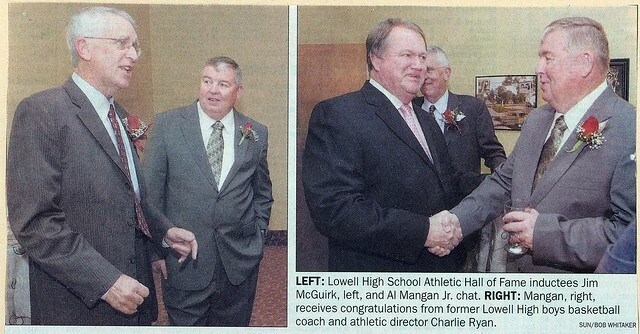 Coach McGuirk continues to remain active in retirement being a Massachusetts Track and Field official, Co-Director of the Amy E. Lekites Memorial Scholarship Fund, and a founding member of the Lowell High School Hall of Fame. 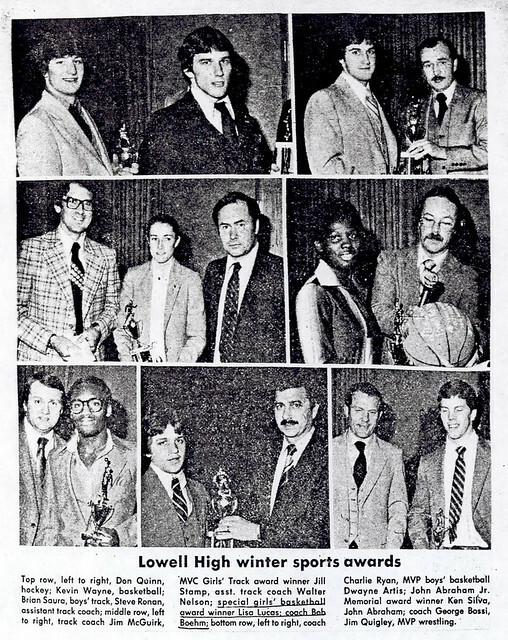 Jim is also very active with the alumni at the University of Massachusetts at Lowell, which includes the Awards Corridor for Dr. Jim Ciszek and Rusty Yarnall.